Dr Ghannam graduated 1983 from Alexandria University Egypt (grade very good) with a Master Degree of Dermatology & Venereology & Andrology in 1986. A PhD in 1994 with a thesis on Aging and Photoaging and Ionizing Radiation on the skin. In 1995 a board examination was passed to successfully achieve Doctorate Degree of Dermatology Venereology & Andrology. During that time Dr Ghannam upscaled in the University positions from Assistant Lecturer up to Associate Professor at the Alexandria University. Since 2005 she had been running and operating her own center. Dr Ghannam does lots of cosmetic procedures and EBD, but a great part of her practice is also for general dermatology. 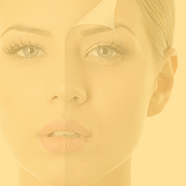 She is also a world expert on chemical peels especially in ethnic skin. Dr Ghannam is an active member in many International societies such as the AAD since 1987, EADV, ISD, ISDS, ESLD, DASIL, IACD and honorary member of the Romanian Society of Cosmetic Dermatology and the Argentinian Society of Dermatologic Surgery. She is President Elect of the IPS and an officer for the ISDS. She is on the International advisory board of the 5CC meeting and Organizer of the Sharm Derm Meeting. She is a reviewer of Derm-Surgery Journals ,the Asthetic Derm Journal and the Indian Journal of Dermatology. Dr Ghannam wrote the chapter on "Chemical Peels" in the Derm Surgery text book among many other publications . She travels a lot for lecturing and teaching but also to learn. Vitamin D and skin aging - What every physician should know!